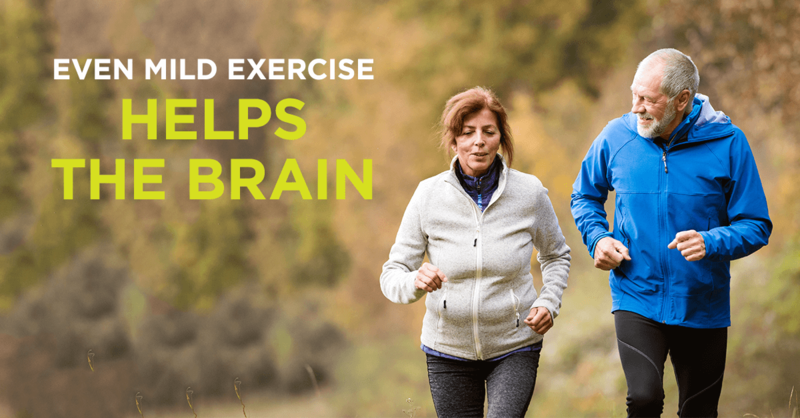 Now, new data is revealing that exercise not only has long-term benefits for brain health, but even more acute changes are being discovered that are clearly positive. In their recent publication in the journal PNAS, Japanese researchers, with the accepted premise that physical exercise does benefit how the brain works, wanted to determine some specifics about just how much exercise is required for it to positively impact the brain. Their human research utilized some very sophisticated, high-resolution MRI brain scanning techniques that are able to delineate the functionality of the brain’s memory center, the hippocampus. The research demonstrated that a single, 10 minute exercise intervention of very light intensity caused a very rapid and obvious increase in the connection between the brain’s memory center (hippocampus) and the rest of the brain. Subjects underwent memory testing, and these evaluations demonstrated a strong correlation between what was seen on the functional MRIs, and memory function. Again, the relationship between exercise and better brain function has been known for quite some time, but a lot of the work has been done with animals. This new human study really ratchets up our ability to make specific recommendations for people. I am often asked questions about how much exercise one should engage in, and what type of exercise is required. This study really does support the idea that virtually any type of aerobic exercise, even if “mild,” does impart some positive functionality for the brain. We find that this brief intervention rapidly enhanced highly detailed memory processing and resulted in elevated activity in the hippocampus and the surrounding regions, as well as increased coupling between the hippocampus and cortical regions previously known to support detailed memory processing. These findings represent a mechanism by which mild exercise, on par with yoga and tai chi, may improve memory. So the message is clear, you don’t have to train for a half marathon, or bike 30 miles. As this study demonstrated, even just 10 minutes of exercise seems to provide significant brain benefits.